Conrad Hilton famously professed that the three most important ingredients of a successful hotel were location, location and location. That may explain why, in the tiny North Wales village of of Llanarmon Dyffryn Ceiriog, there are two places to stay - the West Arms and The Hand. The setting would be hard to beat. There are few places that keep drawing me back so frequently. This time it was just a one night stop, a diversion on the way to the Lancashire fells, so there was no time to enjoy some of the Ceiriog Valley's superb walking (you may read my account of a longer visit here - including the story of how, but for the intervention of Lloyd George, the village might have been submerged long ago to provide water for brewing in Warrington). 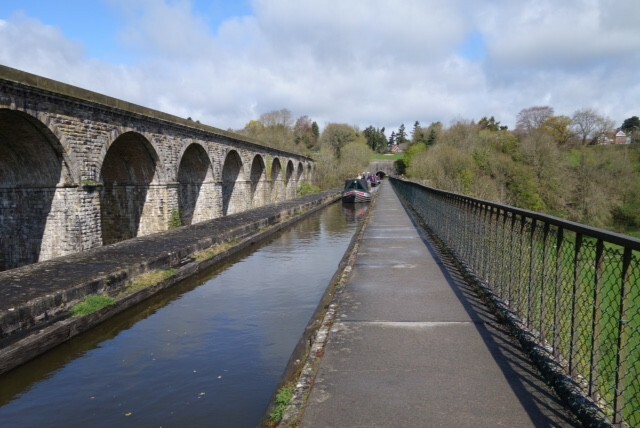 But there was time to explore Chirk Castle, at the eastern end of the valley, and to walk for a while cross and beyond Thomas Telford's astounding aqueduct that carries the Llangollen canal high above green meadows below. 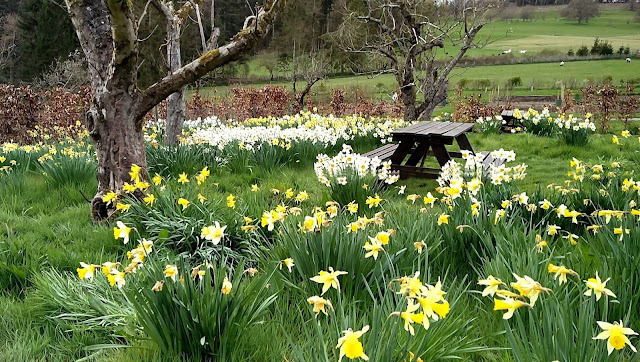 All along the valley road the verges were splashed with daffodils - as were the castle gardens. We ambled around the castle through the extensive woods, a medieval hunting park, past a birdwatching hide above a leafy slope where a nuthatch, its underparts somewhere between pale brown obliged by putting in a brief appearance. 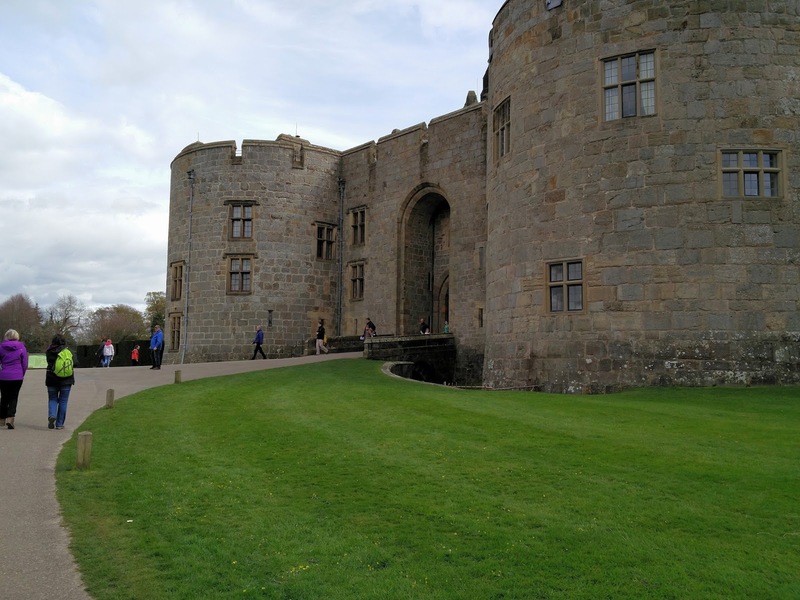 The castle is one of that defensive chain of border strongholds built when Edward I was battling to subdue the Welsh in the hills to the west. Captured rebel leaders were incarcerated in its dungeons. It was built at the end of the 13th century by Roger Mortimer, who had become captain of the English army. After that a chequered period saw five of its owners executed for treason until the Myddleton family made it their home in 1595 - and stayed put for 400 years. Much later the castle was rented by the de Walden family. Lord "Tommy" de Walden was involved in the development of first world war tanks. He was a supporter of Dylan Thomas. I lingered over the guest book in the Bow drawing room, spotting the signatures of Rudyard Kipling and Hilaire Belloc. Those of King George V and Queen Mary and also there - and that of George Bernard Shaw. In a room nearby jerky black and white cine film plays, taken by and of the de Waldens and their guests, riding, skating. Pugin had a hand in some of the interior design. 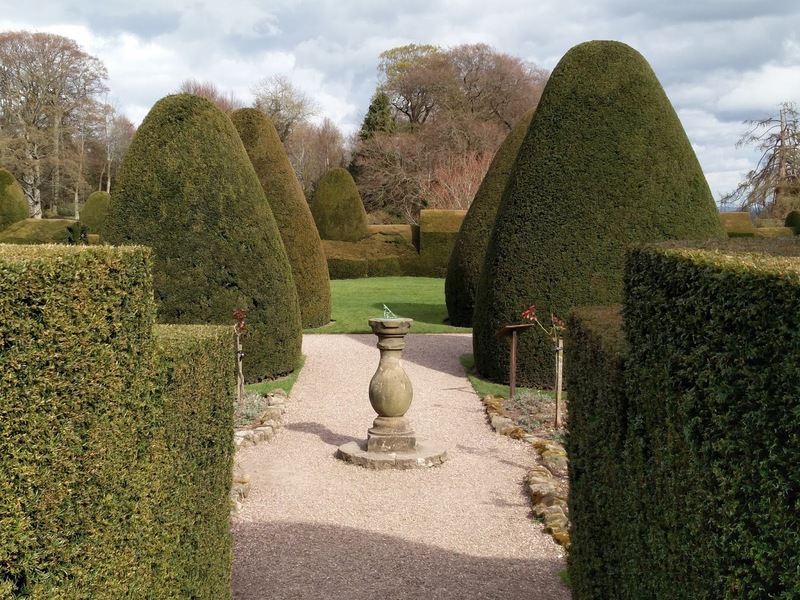 The gardens, with their sweeping views over the surrounding landscape, are magnificent. They stretch down to a ha-ha, a short, steep drop designed to keep animals out without breaking the line of sight. 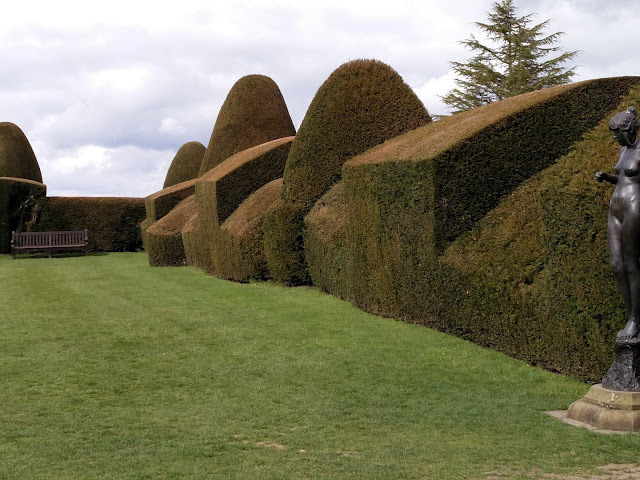 But it's perhaps the topiary that gives the sharpest insight into a world where the rich and powerful could afford armies of labour. Even today it takes six weeks to trim the sculpted yew introduced in 1873 by Richard Myddleton Biddulph. Imagine how long it must have taken back then. sheep - and the rush of river water. Double rooms with a full breakfast range from £95 to £135. Roast rump of lamb, with broccoli puree, broccoli crumbs & a redcurrant reduction costs £16.50. You might not have room for anything else. And they'e honest enough to tell you on the menu that they serve pies from McCardle's, and excellent butcher's in Chirk. If you're on your way home, don't miss the can ce to go shopping there.